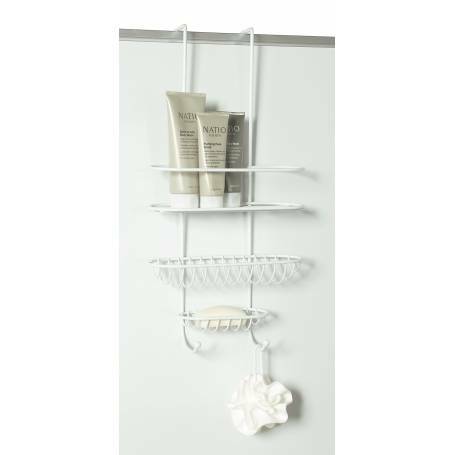 This white powder coated overdoor shower caddy keeps your hygiene products organised and within easy reach. It fits easily over a door or your shower wall. This rack allows items to self drain and dry between shower use. Hooks at the bottom are perfect for hanging loofahs, back brushes or washcloths.